"We can't afford not having this [memory] technology," Terry Gou said at the opening of a $9 billion TV display plant in China, according to Bloomberg. Memory chips may be useful not just in manufacturing smartphones, computers, and tablets, but products like TVs, which are now often equipped with their own apps and face accelerating spec demands as 4K and 8K resolutions take hold. 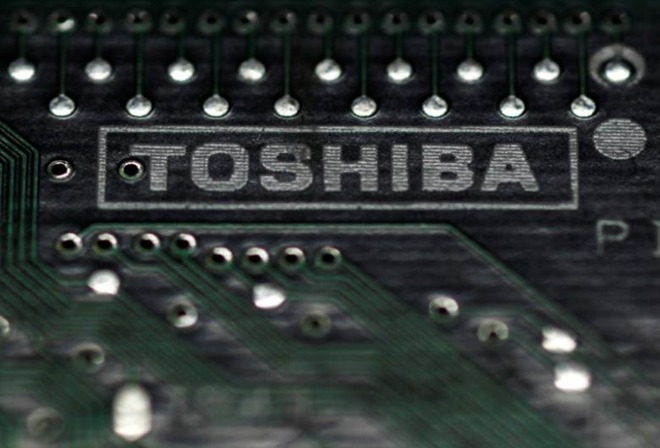 Toshiba is currently soliciting bids valuing its memory business at about 1.5 trillion yen —$13 billion —because of major financial woes elsewhere in the company. On Feb. 14, it revealed that its net worth would fall to negative $1.3 billion if didn't take action. Apart from Foxconn, other companies allegedly interested in a majority stake are Apple, TSMC, Microsoft, SK Hynix, Micron Technology, and Western Digital. Share sales aren't expected to start until at least April, however. Foxconn already owns Japanese display specialist Sharp, itself an Apple supplier. With memory supply under its wing Foxconn could become virtually unassailable in its dominance of Apple orders, relegating firms like Pegatron and Wistron to a permanent secondary role. If it does buy into Toshiba, Foxconn will help build factories in China while leaving "core technologies" in Japan, Gou said. The company may have an edge over some other bidders not just because of its financial clout, but because firms like Micron and SK Hynix are already in the memory business and might be subject to scrutiny over antitrust concerns. "Antitrust is not an issue for us," Gou commented. Toshiba is currently the biggest memory supplier for the iPhone. Demand is likely to intensify in the next few months, as Apple is expected to launch three new iPhones this fall, including two "7s" models and a high-cost "iPhone 8" with an edge-to-edge OLED screen, virtual buttons, wireless charging, and 3D facial recognition. One rumor claimed that the device will drop Lightning for USB-C.